To help Beginners Guide to Writing grow and to broaden our range of topics we welcome your ideas and contributions. It doesn’t matter whether you are an experienced or aspiring blogger, if would like to be a guest blogger on our site then simply pop across to our Contact page and tell us what you can offer. Take a look at what we already have on our website and see if there are any gaps you think you could fill or if there are any topics you could expand on or develop further. We are open to all ideas as long as they are suitable for our main target audience. Sharing your experiences, skills and knowledge will not only help to inspire others it will also help our website to grow into a resource which people will want to visit and use. 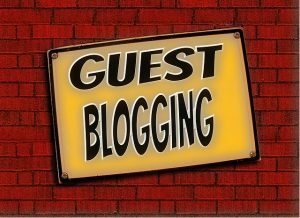 Whether you are an experienced or aspiring blogger we would love you to be a guest blogger for the Beginners Guide to Writing. Before you submit a post, visit our Guest blogger guidelines page for some handy tips. Nostalgia in a family history narrative – is there a place for it?